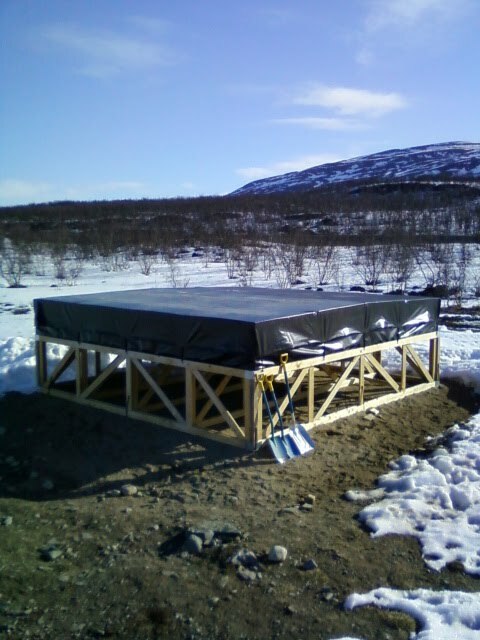 One of the purposes of the winter testing, was to check whether a conventional LOFAR High-Band Array (HBA) tile would withstand the Arctic conditions. Apart from the sustained cold temperatures and the high-winds, the main concern was the loading of snow on the tile. As we have seen during the last few days, the full site inspection has revealed that both test tiles (the raised tile and the one on the ground) have survived the winter intact. This is a major relief. It is the raised tile as seen after the surrounding snow had been cleared away, measurements have been done and initial testing completed. So, the idea is to deliberately put some snow on it. Over the course of the next few hours, we were going to use this 15-tonne machine to gently put snow onto the tile. 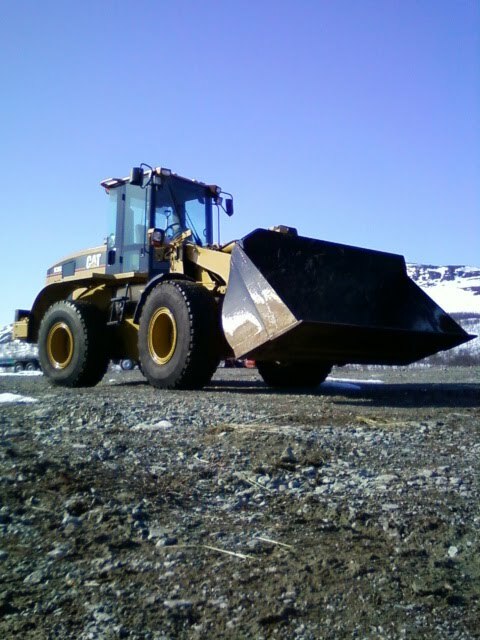 The digger has a built-in load measuring system, so we can weight the snow as we pile it on to the HBA tile. a) What is the breaking point? That is, how many tens, or even hundreds, of kilogrammes of snow can we place on the tile before it collapses? b) What is the mode of failure? In other words, which part gives way first? Do the lids fail, or the walls, or the timber supporting frame underneath? If you want to have a guess, do it now... and then stay tuned over the next few hours as we post up the results.